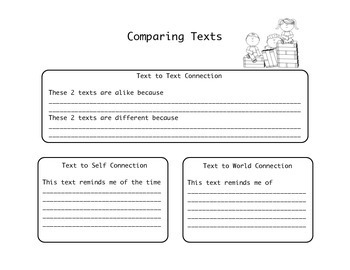 This set of 3 printable worksheets will enable students to compare any 2 texts.The pages are differentiated so that students at different levels of ability can still complete the same task of comparing texts. 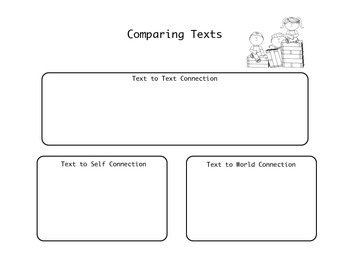 Each page includes boxes for text to text connections, text to self connections, and text to world connections.The first page is for your more independent readers who will write out their responses. 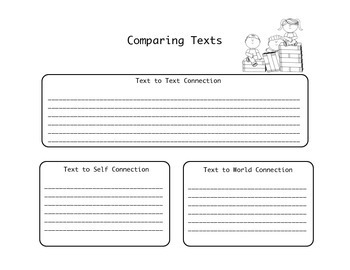 The second page includes scaffolding to get your students started. 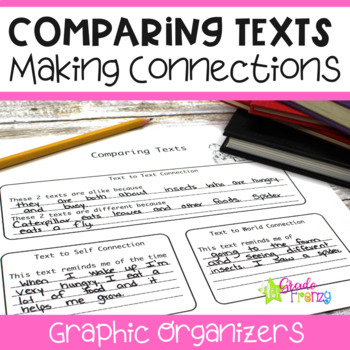 The third page is for students to draw pictures.